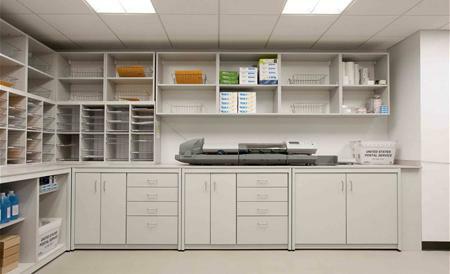 Modular Millwork provides sustainable workroom designs for your transaction intensive, active interior. Workrooms, Office Break Areas, Reception Areas, Storage Rooms, Book Rooms and Conference Rooms are all modular casework. Our unique modular design maximizes productivity and easily adapts to your ever-changing workspace and utilization needs. We invented "Modular Millwork" to provide a long-lasting millwork solution for active, changing workroom interiors. Our unique structural design and variety of surface options give your active classroom the adaptability and durability it needs. Modular Millwork's innovative properties, unmatched cost efficiency and green design are just a few reasons why our products are emerging as the preferred interior for active learning environments.